This year's Top 10 Textile Innovations range from innovative fiber technologies to new concepts in supply chain platforms. The awards recognize those organizations and people, whose originality and creativity enhance performance and bring new textile ideas to life. The awards are meant to empower and encourage every textile industry researcher, engineer, designer, and product developer to continue to pursue their ideas and strive for excellence in innovation. The FabricLink Network takes pride in honoring this year's Top 10 Textile Innovations for 2015-2016. Looking for past winners? Check them out here. This latest footwear concept, showcased at the 21st session of the United Nations Conference of the Parties (COP21) in Paris, demonstrated how the industry can rethink design and help stop ocean plastic pollution. The concept shoe uses yarns and filaments reclaimed and recycled from plastic ocean waste for the knitted upper shoe, combined with a 3D printed midsole, comprised of recycled polyester and gillnets, to create a new industry standard for athletic shoe production. In a partnership with the network, Parley for the Oceans, Adidas has taken action at creating new sustainable materials and innovations for athletic shoes. Given the global ocean plastic pollution, Adidas' plan is to bring the footwear/apparel industry together to create sustainable solutions that solve big global waste problems. With companies like Adidas and global organizations like Parley, ocean pollution may one day be a problem of the past. Adidas 3D-printed Sole, made from ocean plastic waste. Alexium, (Greer, SC) launched an environmentally friendly treatment to inhibit crocking, which reduces the amount of dye transfer between two surfaces. Alexiflam-Crockban™ can be used as a stand-alone application or applied with proprietary Alexiflam™ FR chemistries. Crocking occurs when fabric dye is physically rubbed off from heavily dyed fabric onto other fabric, surfaces or skin. During early lab testing, it was also determined that the product provides an improvement in the fabric's hand and feel. Working with major fabric suppliers, Alexiflam-Crockban™ has successfully treated fabrics with a high content of polyester, which typically are difficult to treat. As a result, Alexiflam-Crockban™ is also helping mattress manufacturers pass the CFR 1633 bed burn in polyester rich fabrics. Alexiflam-Crockban™ greatly reduces the amount of soiling and dye transfer, keeping mattresses cleaner in the showrooms, while at the same time providing FR qualities. Bolt Threads has solved the decades-long problem of mass-producing and scaling up spider silk for everyday use at a commercially viable cost. The process uses yeast engineering to make Engineered Silk™ fibers at scale. The yeast is grown in fermenters, similar to brewing beer, and produces silk protein. After purifying the protein away from the yeast, the silk is spun in a process similar to making rayon or nylon. The result is a distinct polymer fiber material that is stronger, stretchier, and softer than the natural fibers made by silkworms or spiders. Engineering the yeast allows Bolt Threads to modify the properties of Engineered Silk™. The new process avoids the unpredictability of the natural production process, and the material can be tailored to have desired qualities. Spinning Bolt Threads Engineered Spider Silk. Directa Plus, one of the largest producers and suppliers of graphene-based products for consumer and industrial markets, has partnered with Colmar to launch the first application of Graphene Plus (G+) in sportswear. The key characteristic of G+ is its ability to act as a filter between the body and the external environment. Thanks to the thermally conductive properties of G+, the warmth produced by the human body is dispersed in warm climates and preserved and distributed evenly in cold climates – ensuring the ideal temperature for the wearer. G+ also provides electrostatic and bacteriostatic qualities to reduce friction for top sporting performance. The inclusion of G+ enhances the performance of finished products without significantly increasing their cost. G+ products are natural, chemical-free, sustainably produced, and tailored to specific commercial applications like smart textiles, tires, composite materials and environmental solutions. Colmar's and Directa Plus' collaboration has resulted in the creation of ski jackets, ski suits, technical underwear and polo shirts. 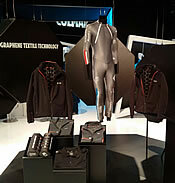 Colmar's sportswear collection, made from Directa Plus' Graphene Plus (G+) fiber. Georgia Tech / SoftWear Automation, Inc. In response to the U.S. losing about 85% of its apparel cut-and-sew operations since 1990, representing $100 billion in sewn products annually, Georgia Tech and SoftWear Automation have developed a patented process that incorporates machine vision, robotics and computing technologies to create a fully-automated sewing machine. Together, Georgia Tech and SoftWear Automation are working to fundamentally redesign and transform today's apparel value chain. The fully-automated production line deploying these advanced robotic sewing technologies will once again make the U.S. sewn products manufacturing industry cost-competitive. The redesigned value chain will be better positioned to profitably serve the "fast fashion" market – deliver products in small lots, in varying designs, rapidly, and at competitive prices to meet the customer's "pull." It will minimize inventory in the value chain and reduce markdowns for retailers and chargebacks to manufacturers. The technology development is being funded in part by the Walmart Foundation's US Manufacturing Innovation Fund to strengthen domestic manufacturing. "Work Cells" show how the garment passes through the production process from fabric to finished garment. Jason Mills' Style 413 fabric came to fruition by talking to the Outdoor Retail industry. Jason Mills asked questions like: What is the ideal outdoor fabric? 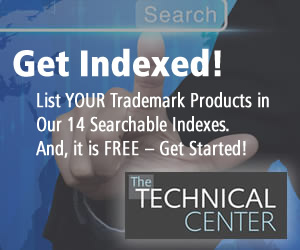 And, what type of protection from the elements are consumers looking for? After reviewing its research, the company developed an enhanced "No-See-Um fabric", which protects against the penetration of baby ticks (nymphs), ticks and mosquitoes, while still offering ventilation and breathability. The fabric is water repellent and fire retardant, which makes a great value-added product for the tenting industry. The 100% polyester yarn is dyed using automotive dyes, making it UV resistant, which means that the fabric will not degrade quickly. Currently, Jason Mills is also successfully marketing the Style 413 fabric into the apiary (beekeeping) industry as part of their protective clothing. Top: See-through transparency of Fabric #413. 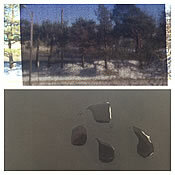 Bottom: Water repellency of Fabric #413. A healthy sleep environment is vital, particularly in the first year of life. Creating a crib mattress that is not only safer, but also more comfortable is the motivation behind the Newton® Wovenaire® Crib Mattress. Made to facilitate airflow, the patented Wovenaire® core is 90% air and 10% food grade polymer. This design significantly reduces risk of suffocation, because it is 100% breathable. Its revolutionary construction contains no latex, foam nor coils, and is free of off gassing odors. The movement of air also helps to regulate the baby's body temperature, another concern cited by pediatricians for baby's wellness. Newton® Wovenaire® is hypoallergenic and the mattress itself is completely washable, creating a sanitary environment. The Greenguard Gold certified, removable and washable cover is also highly breathable through its unique spacer fabric design. Suitable from birth through toddler, the Wovenaire® core will retain its shape and firmness, and is 100% recyclable. Babies and parents can rest easy with Newton® in the nursery. Inside open air construction of the Newton® Wovenaire® Crib Mattress. Developed by Nikwax, the global leader in environmentally safe aftercare and waterproofing solutions, NHD is setting the performance standard for water-resistant down while using clean chemistry. Eliminating the need for polluting PFC-based water-repellents, Nikwax has demonstrated that high performance waterproofing can be achieved without toxic chemistry. NHD is much more resistant to wet conditions than untreated down, which quickly loses its fill power and insulating properties in damp conditions. NHD maintains its loft and fill power even when damp. NHD achieves 1000 minutes on the hydrophobic shake test (IDFB I8A). NHD is featured in sleeping bags and garments, and is being adopted by leading brands worldwide. Downlite, which offers NHD in its product range, is a major down and feather processor and supplier of responsibly-sourced performance fills to the outdoor, home furnishings and hospitality markets, is TDS and RDS certified, and a member of American Down & Feather Council (ADFC). NHD sleeping bag, with insulation developed by NIKWAX and DOWNLITE. The Teijin Group has developed a highly comfortable and functional polyester material that achieves the pile structure of toweling. Made of 100% polyester, the material offers excellent water absorbency, a soft texture, and a unique bulky-but-lightweight feeling. Teijin Frontier is developing a variety of applications for the new material, focusing on 2016 fall/winter sportswear, functional underwear and uniforms, as well as bedding and industrial products. The new material's pile structure, surface appearance, functionality and comfort remain durable after repeated washings. In addition, Teijin's Towel-like Fabric structure is applicable for multi-seasonal products. 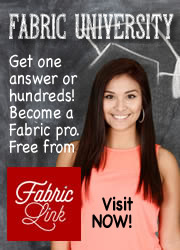 Fabric advantages include: 1) Water moves rapidly from human skin to the fabric surface, keeping the skin dry. Water diffusion is approximately five times faster than that of general fast-drying materials. 2) Heat insulation is approximately three times greater than that of fleece due to its bulky fiber structure. Heat is retained even when the material is wet with water absorbency equivalent to 50% of its fiber weight. Teijin's 100% polyester toweling fabric with excellent water absorbency and soft texture. The "EDAG Light Cocoon" is not just a compact dynamic sports car, but also an unprecedented projection of the future lightweight automotive construction. It is a complete, bionically optimized vehicle structure, combined with a weatherproof textile outer skin, which marks a new dimension for lightweight construction and automobile aesthetics. Also involved in the concept is the outdoor specialist, Jack Wolfskin. This company's outdoor textile "Texapore Softshell" provides the ideal weather protection for "EDAG's Light Cocoon. The lightweight outer skin, "Texapore Softshell", covers the "EDAG Light Cocoon" frame. "Texapore Softshell" provided EDAG designers with the ideal tried-and-tested weatherproof stretch fabric to serve as the new outer body skin. The material is waterproof and windproof, and highly breathable. It combines the advantages of a hardshell with those of a softshell. Its triple-layered laminate construction can be a woven or knitted with a waterproof PU membrane, and a smooth jersey lining. Waterproof taped seams make the covering completely waterproof. Backlight technology illuminates the skeleton-like structure of the "EDAG Light Cocoon".